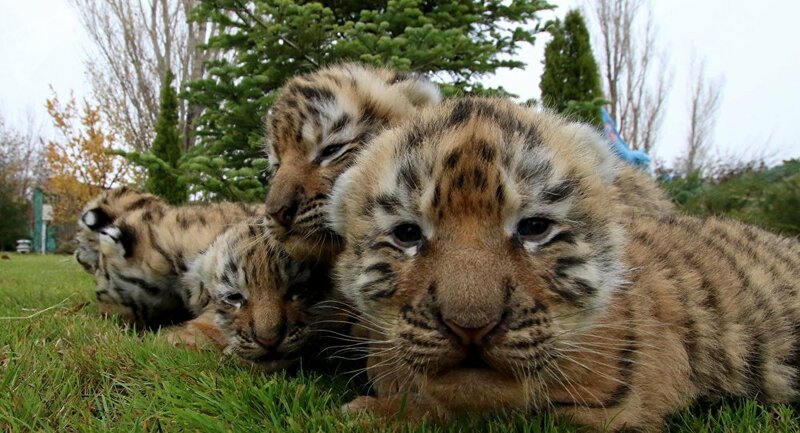 A 10-year-old Amur tigress named Vasilisa gave birth to the little tigers. Safari park "Taigan" is the largest breeding ground for different species of lions, tigers and other big cats. It is located in the Crimean Peninsula near Lake Taigan. The Amur tiger is one of the world's rarest predators and is on the endangered species list. Tigers live in a protected area in the southeast of Russia, along the banks of the Amur and Ussuri Rivers.